Instant asset write-off – qualifying small businesses can still claim an immediate deduction for business assets purchased costing less than $20,000 through to 30 June 2017. Accelerated depreciation for primary producers – primary producers are reminded about the new rules from the 2015-16 Budget for claiming deductions for fencing and water facilities. Company tax cuts for small business – the company tax rate was reduced to 28.5% from 1 July 2015 for small businesses with a turnover of less than $2 million and is proposed to be reduced to 27.5% from 1 July 2016 for businesses with an aggregated turnover of less than $10 million, though legislation has not yet been passed to bring in this change. Immediate deductions for start-up costs – small businesses are reminded that they can continue to deduct a range of start-up expenses (which began on 1 July 2015). Small business income tax offset – unincorporated small businesses can claim a tax offset of 5% of income tax payable up to $1,000. It is proposed the percentage be increased over the next 10 years from 5% to 16% (with the $1,000 cap per individual being retained), though legislation has not yet been passed to bring in this change. Increasing access to company losses – there are proposed changes to companies accessing losses under the National Innovation and Science Agenda intended to start from 1 July 2015 which have not yet passed into law. It is good to make sure that the correct business industry code has been included on your business’ tax return. Many businesses change their purpose over time so the relevant business code that you used on last year’s business tax return may not be the same for your business this year. There is a Business industry code tool you can use to check the code. If you need to change the code, you may also need to update this information on the Australian Business Register. Your tax agent will be able to tell all about the key changes that will affect your 2015-16 tax return and the changes that will affect your tax affairs for the 2016-17 income year. It is best to talk to them about how any tax law changes might affect your business. New content to clarify how the simplified depreciation rules might apply to your business is now available on the ATO website. deduct the full amount of the small business pool when the balance is less than $20,000 – before any depreciation deductions are applied. over-claiming – writing-off the balance of pool because the balance falls under $20,000 after applying the yearly depreciation deduction. Your tax agent is expert in the treatment of depreciating assets and will ensure that you make all the correct claims. It is recommended you seek their assistance in working out what assets you can depreciate and how best to make the claims. New rules have been introduced to strengthen the foreign resident capital gains tax (CGT) regime to assist in the collection of the CGT liabilities of foreign residents. For the purposes of Division 7A which is about distributions made to entities connected to private companies, the benchmark interest rate for an income year is the ‘indicator lending rates – bank variable housing loans interest rate’ last published by the Reserve Bank of Australia before the start of the income year. The ATO has released Taxation Determination TD 2016/11 which specifies that the benchmark interest rate applicable for the 2016-17 income year is 5.40%. This rate applies to loans from private companies to connected entities. Rates for previous income years can be found on the ATO’s website. The ATO has released its fourth video in their Division 7A video series, which explains the Commissioner’s discretion under Division 7A. The Commissioner’s discretion is designed to help private company shareholders and their associates comply with Division 7A. It gives the Commissioner the discretion to disregard a deemed dividend, or allow it to be franked if it arose because of an honest mistake or inadvertent omission. examples to demonstrate how the Commissioner considers an application. If you have made an honest mistake or inadvertent omission related to Division 7A, you should speak to your tax agent about applying for the Commissioner’s discretion. Division 7A is a very complex part of the tax law. Your tax agent or tax adviser is the best person to help you understand your obligations under Division 7A in relation to loans and other amounts provided to shareholders in a private company. There is a new CGT treatment for certain earnout rights created on or after 24 April 2015 which satisfies the criteria of a ‘look-through earnout right’. Earnout arrangements are often used when parties cannot agree on the value of the business at the time of sale. If you have sold or purchased (or propose to sell or purchase) a business (or its assets) under a look-through earnout right created on or after 24 April 2015, then the new look-through CGT treatment will apply. The ATO has updated its CGT Guide on look-through earnout rights. However, if you are engaging in transactions of this type, you should seek expert advice from a tax professional. As noted in the previous edition of TaxWise, from 1 July 2017, overseas businesses will be required to pay GST on international sales of digital products and services provided to Australian consumers. The ATO has introduced the simplified accounting method for GST purposes (SAM) to make it easier for small food retailers to account for GST. These methods will help you work out the amount of GST you are liable to pay to the ATO at the end of each tax period. You need to decide which one is best for your business and this depends on the relevant turnover threshold (either ‘$2 million SAM turnover or less’ or ‘$2 million GST turnover or less’ depending on the method). You cannot use the averaging involved in these methods to set your prices. Businesses must still set prices in line with the Australian Competition and Consumer Commission’s (ACCC’s) guidelines. The ATO consulted on the SAM 2016/D38 Goods and Services Tax: Simplified Accounting Method Determination (No. 38) 2016 for Restaurants, Cafes and Caterers – purchases snapshot method guidance document in August and will finalise this shortly. have a GST turnover below the GST registration threshold of $75,000 Australian (because certain supplies will no longer be included in the GST turnover). If you acquire supplies for your business from overseas suppliers, this change may impact on your GST obligations. You should seek advice from a tax professional who specialises in GST for further information. deal with superannuation payments made through a clearing house. The ATO recently announced the latest benchmarks for small business. Small business benchmarks are a guide to help you compare your business’ performance against similar businesses in the same industry. Australian and New Zealand Standard Industrial Classification (ANZSIC codes). Company tax cut for small business. Your tax adviser will be able to provide you with information about these new tax concessions for small business. The small business income tax offset for unincorporated small businesses can reduce the tax you pay by up to $1,000 each year, and is available from the 2015-16 income year. the share of net small business income from a partnership or trust. To be eligible for the offset as a sole trader, you must be a small business entity. If you have a share of net small business income from a partnership or a trust, that partnership or trust must be a small business entity. There is a ‘small business income tax offset calculator’ available on the ATO website that can help you to work out the amounts you need to include in your tax return. You can choose to use the simplified depreciation rules if you have a small business with an aggregated annual turnover (the total normal income of your business and that of any associated businesses) of less than $2 million. You can choose to use the simplified depreciation rules if you have a small business with an aggregated annual turnover of less than $2 million. deduct the balance of your small business pool at the end of the income year if the balance at that time (before applying the depreciation deductions) is less than the instant asset write-off threshold. apply the entire set of rules, not just individual elements (such as the instant asset write-off). You may choose to stop using the simplified depreciation rules or become ineligible to use them, in which case you’ll then use the general depreciation rules. Business owners are reminded that myTax is no longer just for individuals anymore. Sole traders who prepare their own tax return will be able to lodge online using myTax. myTax has been upgraded to include business and professional items sections for sole traders and distributions from a partnership or trust. myTax also gives sole traders access to new online tools to assist with their tax return. To use myTax, you will need a myGov account. If you’re a sole trader planning to use myTax, you will find a number of inbuilt tools to help you save time and avoid mistakes. The new depreciation and capital allowance tool will help you work out the deductible amount for your depreciating assets. It will also reduce your search time when determining the effective life of an asset. The new CGT record keeping tool can help you calculate your capital gains events. Capital gains events might include the sale of a rental property, vacant land, holiday home, real estate or shares in a company or units in a unit trust. If you use a tax or BAS agent, check with them before creating a myGov account. If you need to complete a partnership, trust or company tax return, these will need to be lodged through a tax agent or on paper, so please consult your tax agent for assistance. Fraudulent ‘phoenix’ activity occurs where a company deliberately liquidates to avoid paying creditors, taxes and employee entitlements. Currently, this is an area of focus for the ATO. Six search warrants were executed on 29 July 2016 as part of a cross-agency investigation into alleged illegal ‘phoenix’ activity on the Gold Coast. The operation stems from the work of the members of the multi-agency Phoenix Taskforce who are collaborating to help stamp out illegal phoenix activity. The search warrants, which were led by the ATO with Australian Federal Police assistance, were part of a criminal investigation into unpaid superannuation, employee withholding, GST and income tax. Previous editions of TaxWise have included information about the application of SuperStream and which businesses should be using it and when. If you make super contributions for employees, you need to get ready for SuperStream if you are not using it already. Businesses with 20 or more employees should already be using SuperStream. Businesses with 19 or fewer employees had until the end of June 2016 to get ready for SuperStream. However, the ATO is extending the deadline for small businesses until 28 October 2016 to get ready for SuperStream. This means the ATO will not be taking compliance action against small businesses that missed the 30 June deadline. The ATO is on the lookout for schemes designed by their promoters solely to help clients avoid paying tax on their income and assets. The scheme works by inappropriately channelling money through a self-managed super fund. 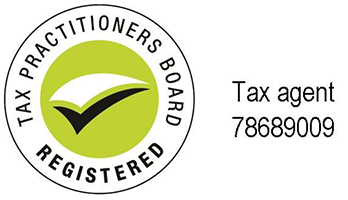 If you are or are about to become a self-funded retiree, you should consult your tax agent about your arrangements, particularly if you have received advice from another adviser who is not your tax agent or a tax professional and are concerned that you have inadvertently become involved in a scheme or have been approached by someone you think might be a promoter. The ATO has introduced a new service for SMSFs to make voluntary disclosures. You can use the service to engage early with the ATO about unrectified contraventions. To use the service, complete the ‘SMSF regulatory contravention disclosure form’. For more information on the SMSF early engagement and voluntary disclosure service, see the ATO website. The ATO has been working with businesses, tax advisers and agents to design an online guide to help private groups with tax governance. SMSF trustees and professionals can use this new tax governance guide to develop an effective governance framework and to identify ways to improve existing governance practices within their SMSF. If you have clients with SMSFs, the ATO has released a number of free approved online courses available to trustees for the purpose of complying with an education direction. If you are an SMSF trustee, you can access them to improve your understanding of your SMSF trustee obligations, even if the ATO has not directed you to undertake one. The ATO is allowing SMSF trustees additional time until 31 January 2017 to ensure that any limited recourse borrowing arrangements (LRBAs) are on terms consistent with an arm’s length dealing, or alternatively are brought to an end. Since the issue of Practical Compliance Guideline PCG 2016/5 on 6 April 2016, the ATO has received several individual requests from SMSFs to allow them further time beyond 30 June 2016 to review the terms of their LRBA arrangements to ensure that their arrangements are on terms consistent with an arm’s length dealing. Consideration of these individual requests has highlighted that many taxpayers may require more time in order to review the terms of LRBAs. Requests from taxpayers have also highlighted that taxpayers may benefit from further ATO guidance about some aspects of the non-arm’s length income (NALI) rules. In particular, taxpayers may benefit from further practical guidance clarifying the circumstances in which an SMSF will be taken to receive a greater amount of ordinary or statutory income under a particular non-arm’s length arrangement, compared to the amount which it would have received under an arm’s length arrangement. This guidance may assist SMSF trustees and advisers to make decisions about whether the NALI rules apply to their particular arrangements. If you are the trustee of an SMSF, there is a lot of information available on the ATO website to help you meet your obligations. However, your tax adviser can offer you invaluable assistance with meeting your obligations.